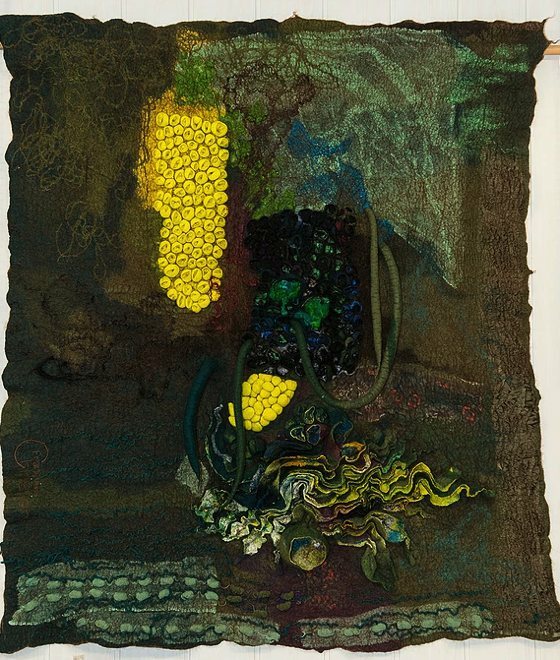 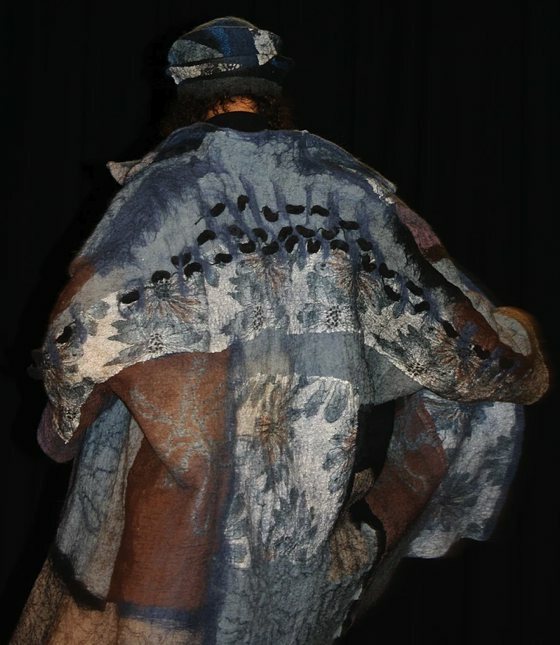 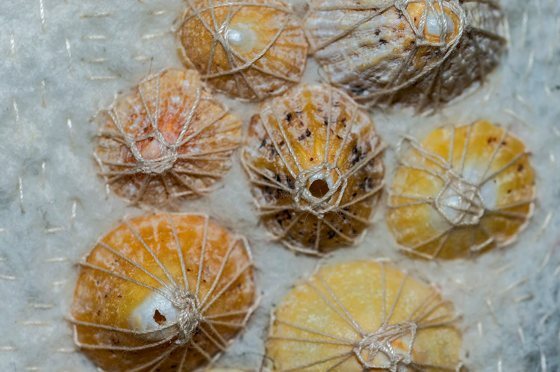 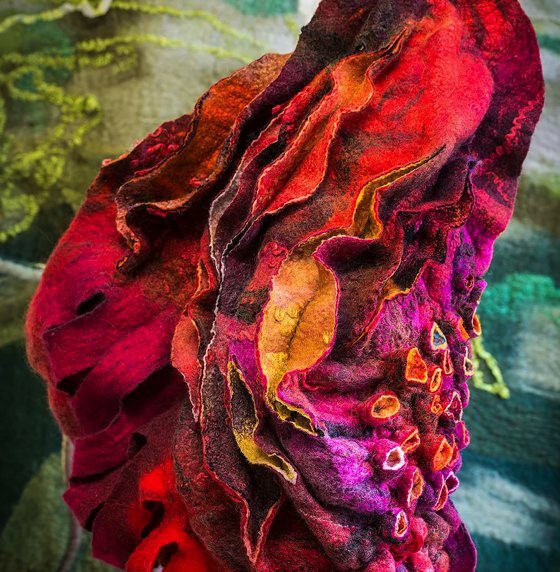 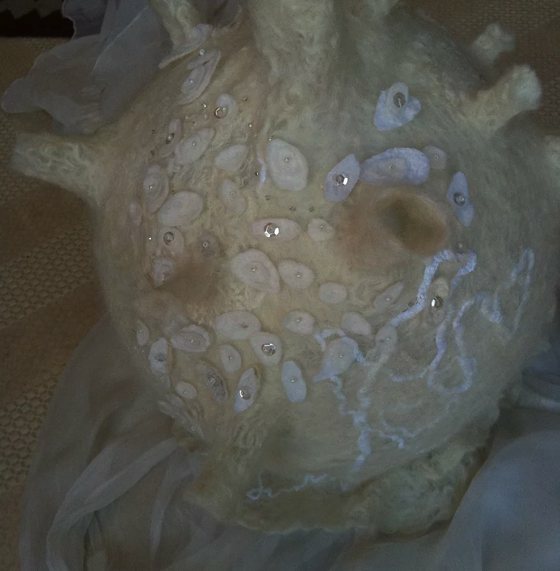 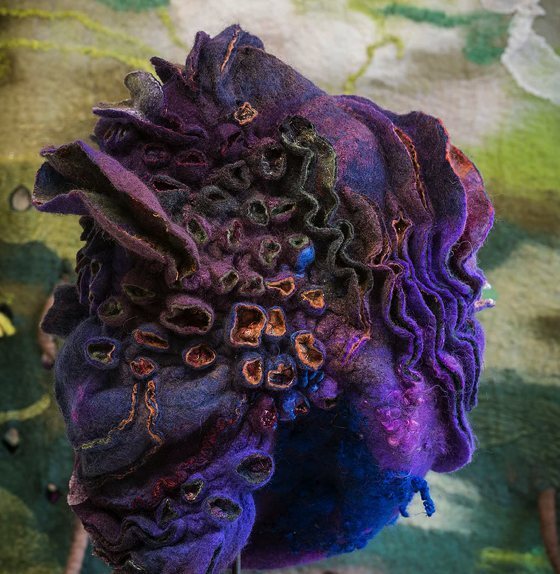 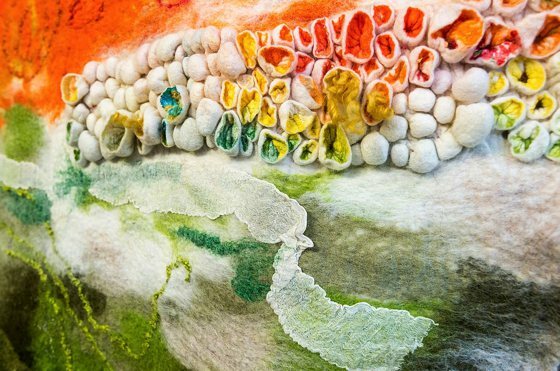 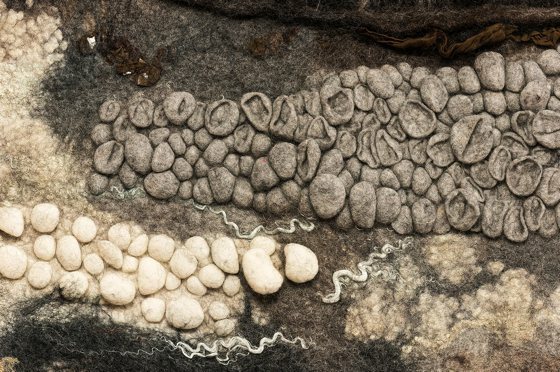 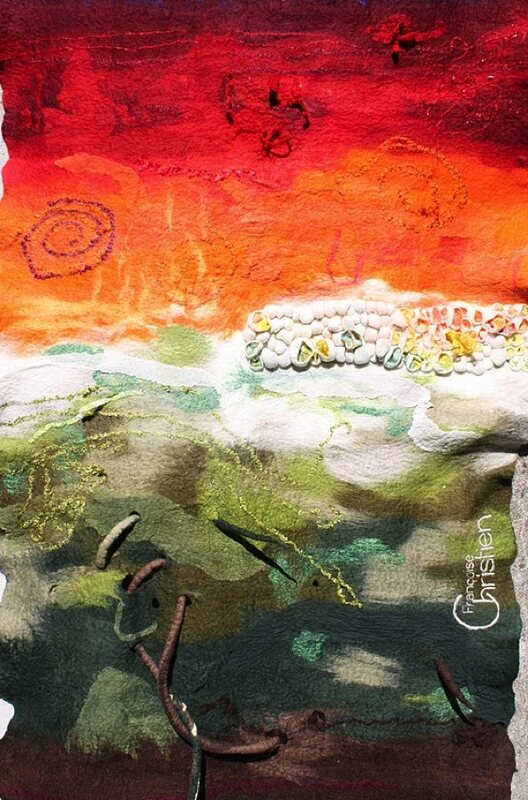 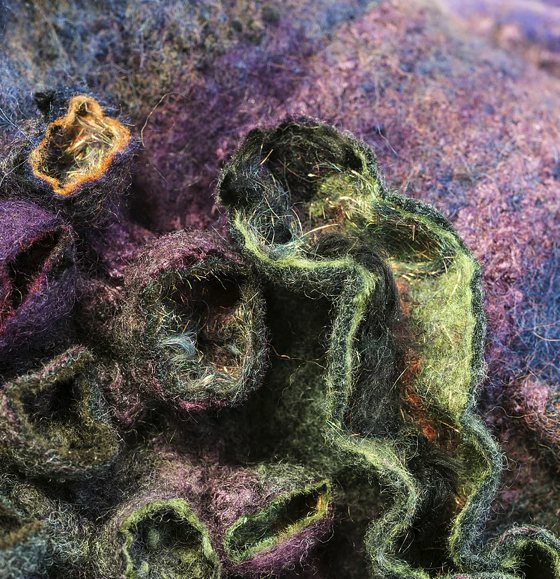 Françoise Christien is an extraordinary French textile artist inspired by her natural environment, the wild coast and Breton woods: mushrooms, luxuriant moss, lichen and sea-shells clinging to the rock, anemones: light spots of rain, water puddles sea that envelops life, plants and minerals. 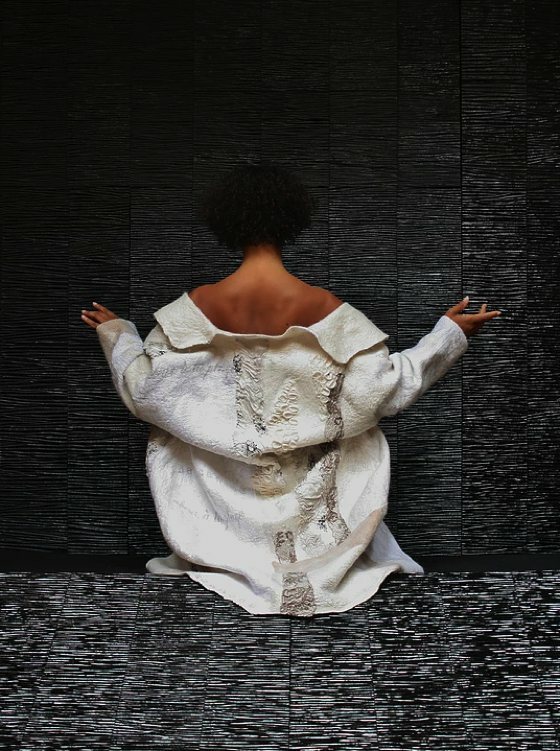 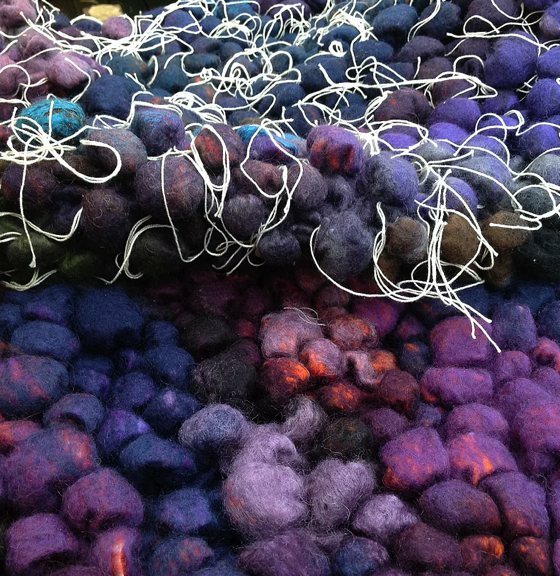 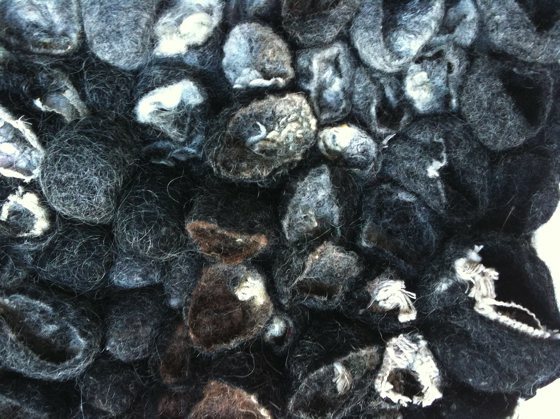 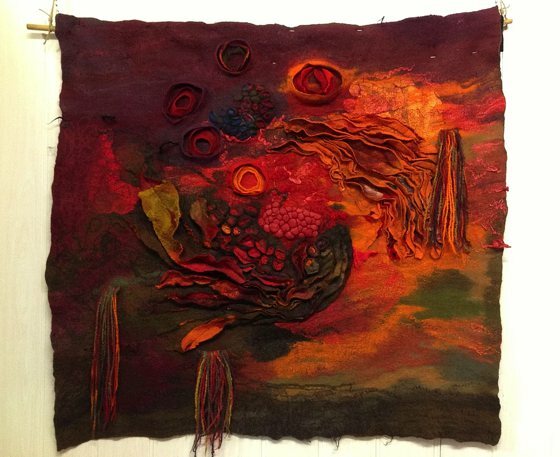 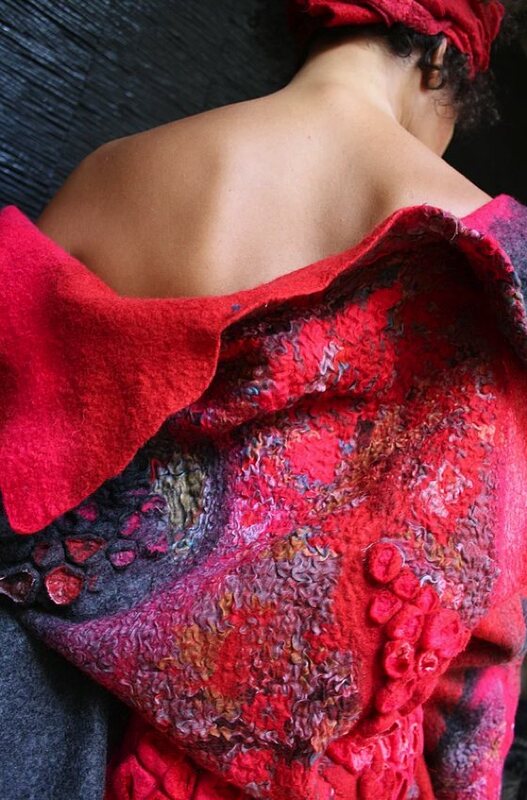 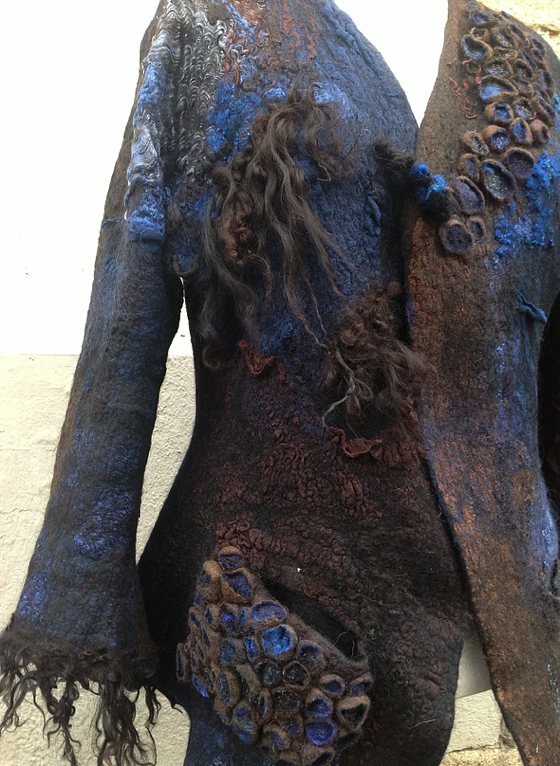 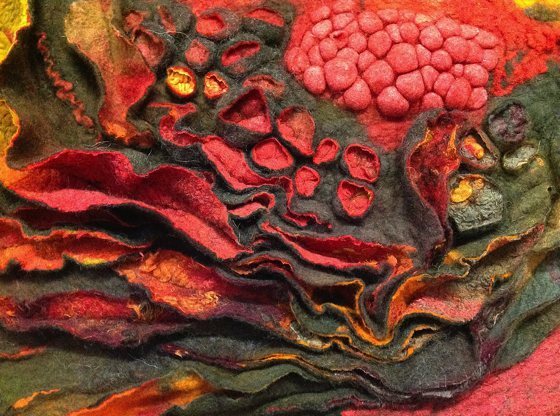 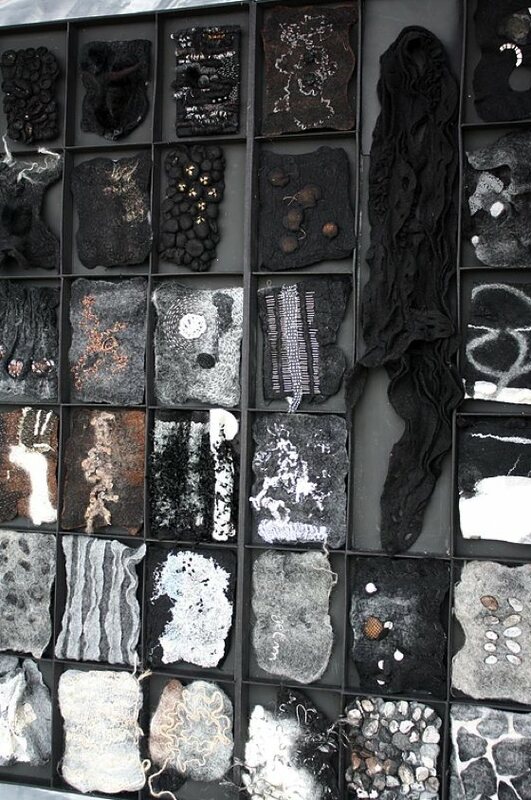 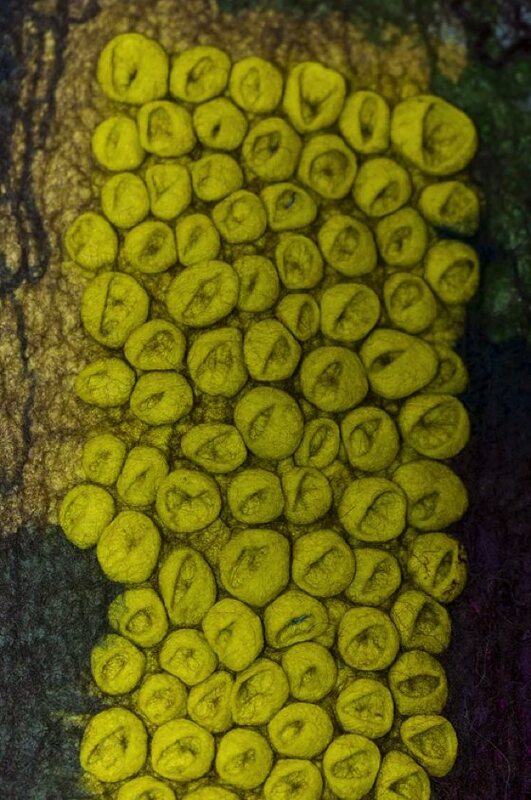 Thanks to her extraordinary felt processing technique, with wonderful textures and overlays, incorporating silk or other materials, Françoise recreates these environments and these surfaces. 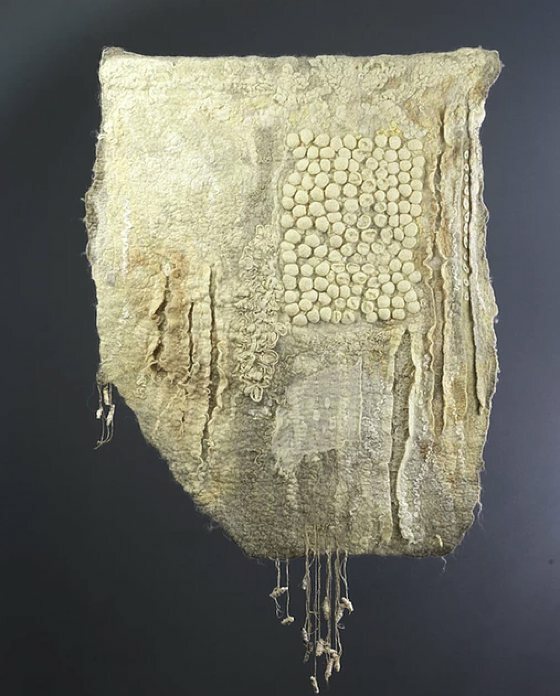 There are so many important dresses and coats, made in one piece seamless, or the beautiful bas-reliefs that Françoise calls “peaux de mur” (“wall-skins”).